Since its inception in 2013, Huami has quickly established its global market leadership and brand recognition in the smart wearable segment. 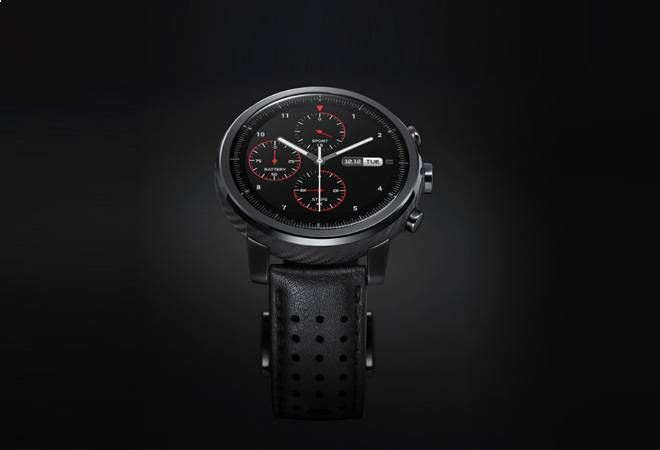 Huami, a brand backed by Xiaomi, launched the Amazfit Bip and Amazfit Stratos smart-watches in India. On July 17, the company had teased an image of the smart-watch on its Twitter handle stating, "When power, performance, and innovation unite, a revolution takes place. Watch it unveiled in India on 24th July." Available in cinnabar red, kokoda green, onyx black, and white cloud color variants, it sports a 1.28-inch trans-reflective always-on color display with a resolution of 176x176 pixels, 2.5D curved glass, and Corning Gorilla Glass 3 protection. It has a 3-axis acceleration sensor, a barometer, electronic compass, GPS, geomagnetic sensor, and optical (PPG) heart rate sensor. It comes with IP68 dust and water resistance rating. In the basic mode, the 190mAh battery lasts up to 4 months on a single full charge. It is compatible with both Android and iOS handsets. Available only in a black color option, it sports a 1.34-inch always-on trans-reflective color LCD panel with a resolution of 320x300 pixels, 2.5D curved glass, and Corning Gorilla Glass protection. It is powered by a dual-core 1.2GHz SoC, coupled with 512MB of RAM and 4GB of ROM. Connectivity options include Wi-Fi 802.11 b/g/n, Bluetooth v4.0, GPS, and GLONASS. It boasts an air pressure sensor, ambient light sensor, barometer, geomagnetic sensor, gyroscope, an optical (PPG) heart rate sensor, and a tri-axis accelerometer. The 290mAh battery offers a battery life of 5 days with regular use. It is compatible with both Android and iOS handsets. Since its inception in 2013, Huami has quickly established its global market leadership and brand recognition in the smart wearable segment. It designs and manufactures self-branded smart wearable products under the brand "Amazfit", which includes the Pace, Stratos, Arc, Cor, Bip, Moonbeam, and Equator. The Bip is priced at Rs.5,499; while the Stratos is available at a premium price of Rs.15,999. Both smart-watches are available on Flipkart.